This morning I was thrown a curve ball. The car started ok, had idling issues, did the bogging thing, and even stalled once at a light. (That's always fun with a start button that only works about 15% if the time.) Finally got it to the freeway when the temp disappears and shift lights start freaking out. It took me a few minutes of experimentation to figure out that it was giving me a shift light at 3000 and rev limiter at 4000rpm. Quite clearly in limp mode. No check engine light though. I still scanned for codes and it had two pending. P0116 and P0446. The ECU had apparently lost contact with the coolant temp system and the evap system. Without ever stopping the car or anything (other than the stopping that is Los Angeles traffic) I cleared the pending codes. Instantly the temp displayed again and the car dropped out of limp mode. The rest of the drive home it was perfectly fine. Given the wide range of errors and systems involved I'm left thinking it's one of two things. First: every system on the car is choosing the same time to start intermittently going bad. (Unlikely) or second: it's an ECU issue. I think my next three logical steps would be 1. Check ECU ground. Working a hard chassis ground to ECU if necessary. 2. Reflash, factory time could have been corrupted somehow. 3. I hope it doesn't come to replacing the ECU. I would agree with your three steps. This is either a bad ground or an ECU with a faulty solder joint. I have heard of bad flashes but the symptoms are usually from day 1. Another update. We can stop with the new symptoms any time. First, the voltage log from a long drive today. There were only two anomalies in the log, other than that it's a very boring line graph. Early in the drive there is a drop to about 8v in both the ECU and the OBD port. It lasted about 2/10 of a second and that was it, the rest of the drive was high 13 to low 14v. Until late in the drive. Shortly before I got home the ECU voltage stayed steady but the OBD voltage on two occasions spiked to 42 million. While i don't think it actually hit 42 million, it did log that for about a second twice in the log. I want to discount it as a logging error, but when I'm having issues that are so difficult to track down I have a hard time discounting the occurrence. And now for new symptoms. Gas light came on with one little bar left, as always. Within 5 miles I started having issues keeping the car running. I had to exit the freeway and limp to a gas station where I naturally filled up. That was the last of the problem. recently had fuel tank issues? when the voltage anomalies happened was it related to vehicle behavior? No, it was about 3 minutes before I parked. Around the time I would have been exiting the freeway. In other news. today while driving around I was logging the fuel level. Does this graph look right? The starting and ending values are close, and I understand that even in my baffled tank there is bound to be some slosh, changing the reading, but that looks much more inconsistent than I expected, especially considering i was not doing any cornering. This was a straight freeway run. Of course, it's Los Angeles, so mostly it was in traffic with only few bursts of any speed. This graph is from the first 1/3 of my drive today. During this time the car was having issues maintaining idle and was bogging repeatedly. I don't know if these voltage drops are normal, but in the absence of the 42million volt spikes of yesterday they became much more noticable. Red line is OBD adapter voltage and Blue line is ECU voltage. Just spent 30 minutes at midnight trying to get the car to start so I could go home. Since I'm stranded now I figure I'll ask here: What is a P3806 code? It gave me the typical throttle codes and I had no control, but it also sprung a P3806 on me. My Google searching was no help. On the only page to acknowledge the code they said it was the coolant system, the variable valve timing oiling system, and the fuel pump, but gave no actual information. I'm hoping when it's not midnight I can get it running tomorrow (the idle loop between 1700 and 2000 rpm with a Larini exhaust is a bit loud for a neighborhood.) But I've lost all desire to own this car. It's been months since I drove the car without some problem to diagnose worn I parked it. This isn't ok for a daily driven car. My 70 +2 ran and drove fine. Then one day, it did not want to crank. Finally did but did not charge. Checked all my connections, including the battery ground, which bolts through a bobbin in the body and into the chassis, all are tight. This behavior continued for several weeks. One day driving down my very slow, very curvy street, I noticed a pattern to the amp gauge. Turn one way and it charged, the other way it did not. I returned to the garage and laying on my back turned the bolt head for the battery ground/chassis body bolt. when checked from above it was tight,but that just meant the battery cable was tight to the body, not the chassis, the bolt had slowly wound down, the threads on the nut and threaded bobbin remained tight to each other but not to the chassis. when cornering it finally got loose enough that the body lifted off of the chassis, making the problem obvious. P3806 is a generic code with multiple meanings ranging from misfires to low voltage circuits. The lopey V8 idle sound makes me think it's an issue with 1 of your 2 OCV solenoids. There are two OCVs, one for lift and one for timing. 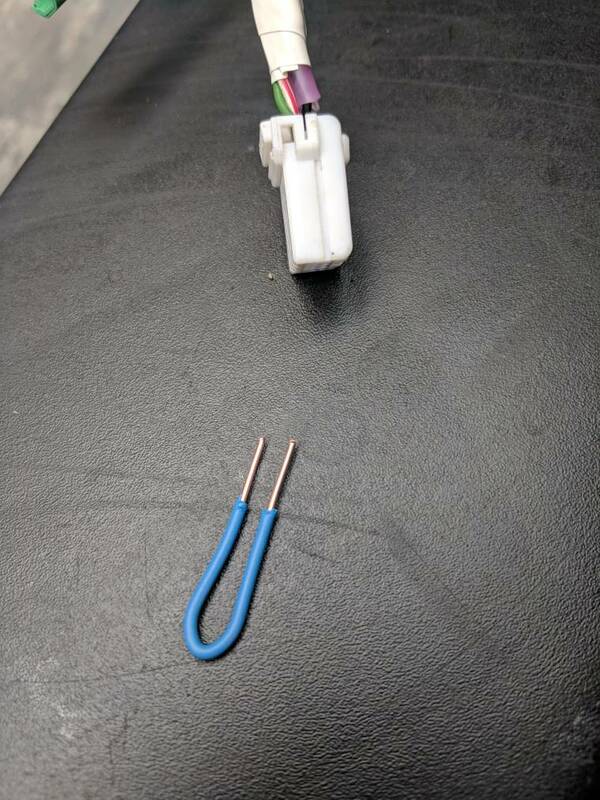 The problem could be as simple as a clogged oil screen for either solenoid, a misaligned OCV (see image below), a missing plunger spring in the OCV, or bad wiring to either OCV. Also, you have a rebuilt car, so these may be issues finally manifesting themselves following the accident. Did the prior owner disclose any running issues? I fear he/she got it fixed 'just enough' in time to dump the car. It's tempting, but please don't do the same! I think you said you looked at some of your grounds. Have you removed, cleaned and re-tightened all of them? Once you have addressed all the grounds you should report back on the behavior if anything has changed. Haven't gotten to remove and clean up the strap from engine to chassis yet. As soon as I have time to get the back end up on race ramps it will make access much easier. The new battery is also on the way, should be here Friday. Saturday night it stranded me and gave me about 8 new codes with one or two repeats. The likelihood that it actually has problems with that many systems is very small. That's when I ordered the battery. I'm not going to keep chasing these codes when the frequency and variety of them points to something much simpler, like a battery or ground. In removing my battery (an Interstate mt-75) I've side send to be bulged. If the battery has broken plates and thus inconsistent voltage, that could explain a lot. Once i get the battery done and ground reseated I'll report back. Brand new battery, ground wire run direct from battery to engine, no change. Barely started, same codes, no throttle control. Going to review the thread and decide what to try next. 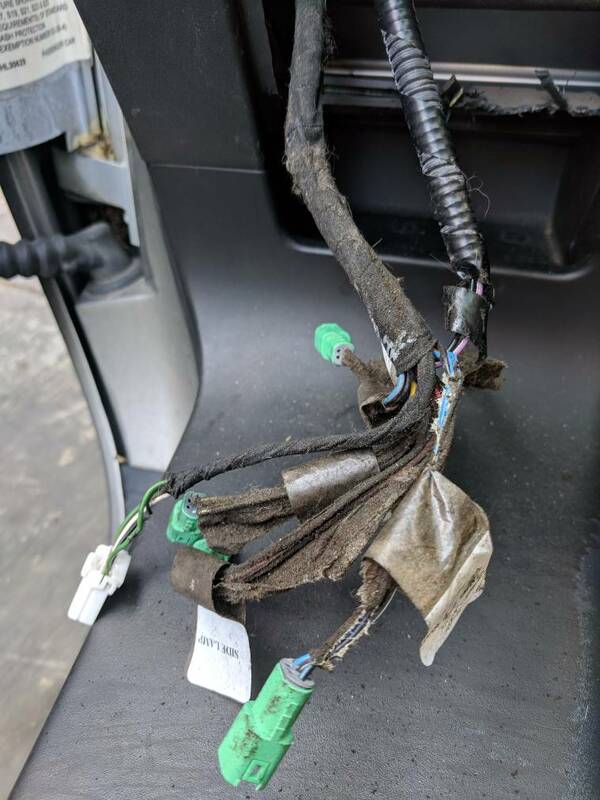 A direct ground from the battery to the engine does not address all the electronics. You need to make sure every ground point on the car is clean and tight. You can only do this by removing, cleaning, and reinstalling every ground point. Today I finally had time to get the grounds done. Removed and refit the main ground post, the chassis, and the engine ground points. Still having issues. Learned a little more about what it's doing though. As before: it's usual thing is the throttle actuator code and a pending for the crank\cam position sensor. However, being patient actually helped today. If I let it run and do it's thing it will stall a few times but if I restart it and let it keep going eventually it does something interesting. Both times I've let it do the process it eventually gets to a point where a relay somewhere clicks loudly, the car stalls, and the radiator fans come on full blast (I'm assuming that's the relay you hear). If I wait for the fans to stop, which takes a minute or two, then cycle the key, it starts up and runs fine. That is until it cools down. If it sits for a while the whole process starts over. I did finally diagnose my start button issues as the actual button and have ordered a replacement button. 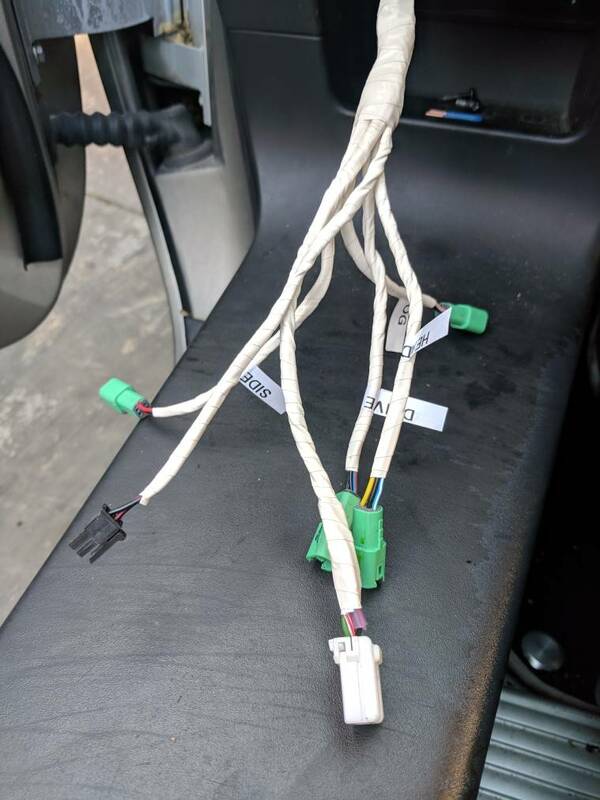 I hot wired the car to do my testing today. I already cleaned up my discussing lighting and start button harness and removed the bad wiring for the radar detector. Spent today looking for vacuum leaks. Monitored the short term fuel trim while using propane to look for a leak. When the car was running well the propane had no effect, later when the car was running badly it was so bad that there was no noticable difference with the propane. I have narrowed my issues down to a point which backs me into a corner. My short term fuel trim is all over the place. Typically this is caused by a vacuum leak, but I can't find any vacuum leaks. I attached a graph of my short term fuel trim during testing. typically it should stay between -4 and 4. Up to 8 is acceptable, but outside of that indicates a problem. As you can see, early in this test it was running pretty well, after that you can see when things went South. Other than a vacuum leak the only other thing I can think that would cause this is a pre-O2 sensor exhaust leak. I have some parts in the mail now to hopefully chase the issue down.